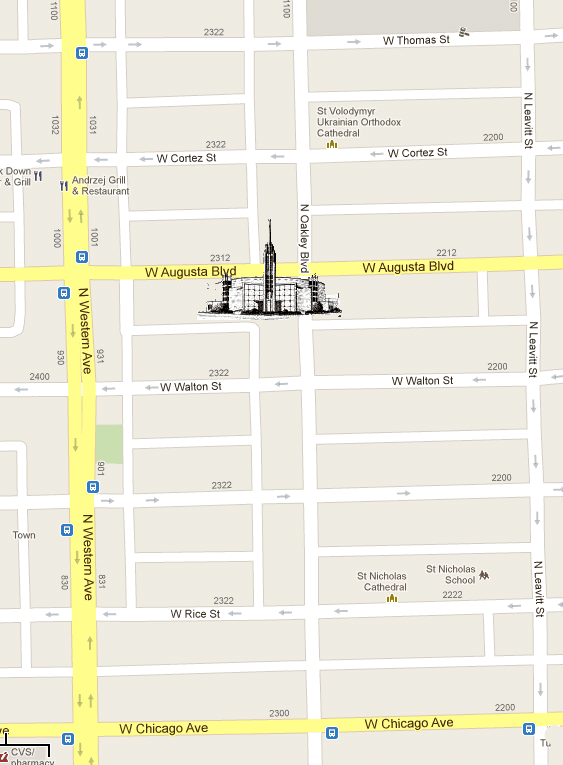 The mailing address of the parish is: 2315 W. Augusta Blvd. in Chicago, Illinois 60622. 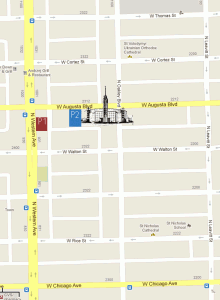 St. Helen Parish is located on the corner of Augusta Boulevard and Oakley Boulevard in Chicago. The most direct way to drive to the parish is from the “Kennedy” (I90/94) Expressway, taking the exit at Fullerton. 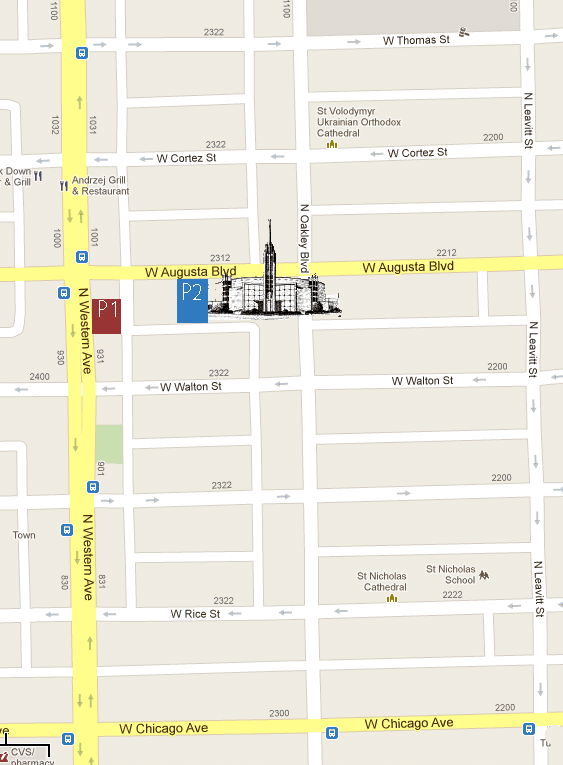 On Fullerton, immediately turn West towards Western Ave. At Western, turn left going North. 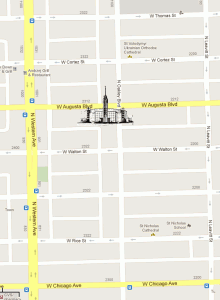 Proceed on Western for approximately two miles down to Augusta Boulevard. Turn left (going East) on Augusta. The Church building is visible from the Augusta and Western intersection. To get specific driving directions please enter your starting address below. For most locations, the directions can also show the route using public transit. Also available is parking next to the rectory, in the multi-use space. It is marked as blue “P2” on the map below. St. Helen Parish is within walking distance of several major public transit routes. For those traveling from downtown or the West side, a few blocks North of the parish, the CTA #70 Division Street Bus stops on Western Ave. and Oakley Blvd. either of which is minutes from the parish. Three streets south of the parish, the CTA #66 Chicago Street Bus has similar stops and is also within walking distance to the church. There are convenient transfers from either the Blue Line or the Red Line to either bus. Coming from either the North or the South, Western Avenue is a convenient corridor and the CTA #49 Western Avenue Bus runs frequently.